The other day, I went to three different grocery stores looking for frozen puff pastry shells. I needed them for an appetizer I wanted to make, but couldn't find them anywhere! Finally, I decided to just grab a regular package of puff pastry dough with the intention of making my own shells. 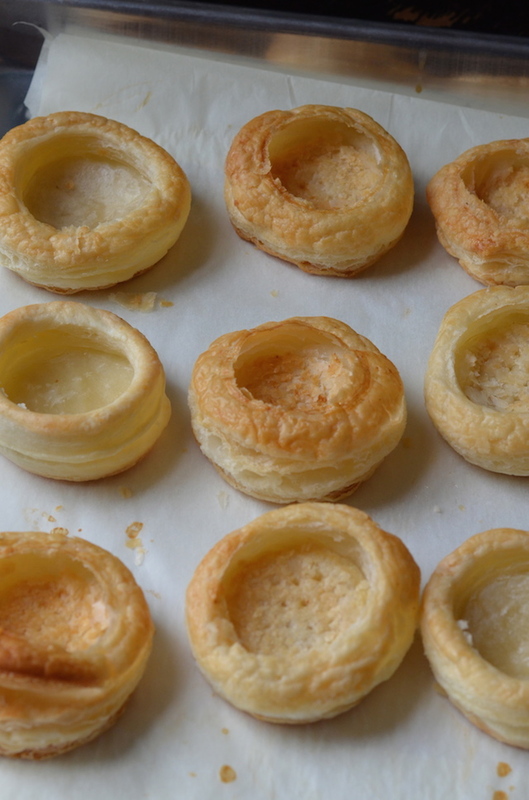 NOTE: You want to start off with completely thawed puff pastry. 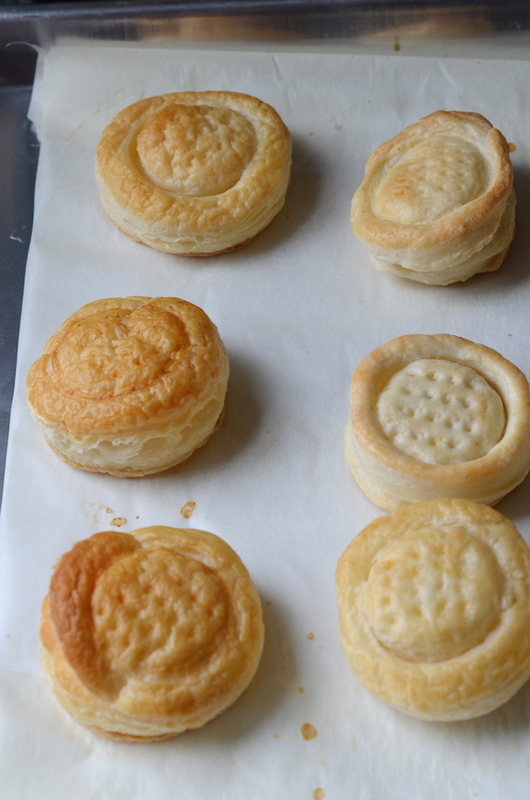 If your box comes with two sheets of pastry (like the Pepperidge Farm kind), roll them out, lightly moisten one sheet, and then layer the second one on top, pressing down slightly with your hands and then a rolling pin to combine them a bit. 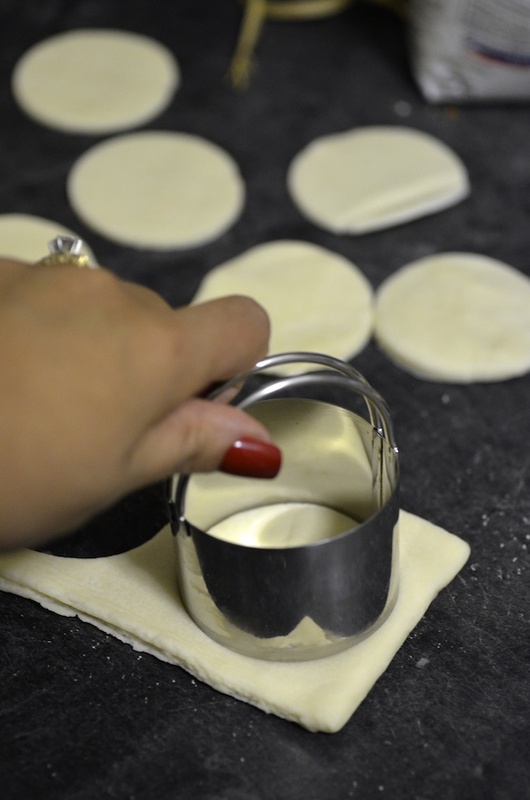 Use a 2 1/2" round biscuit or cookie cutter to cut out as many circles as you can. Arrange on the prepared baking sheet, one inch apart. NOTE: This size is great for 1 or 2-bite hors d'oeuvres. 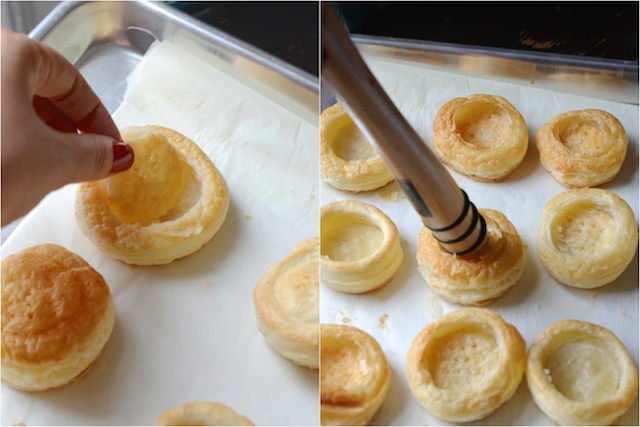 If you want to make larger shells for desserts or appetizers, use a larger cutter to make bigger rounds. Reroll any scraps and repeat until you use up all the pastry. 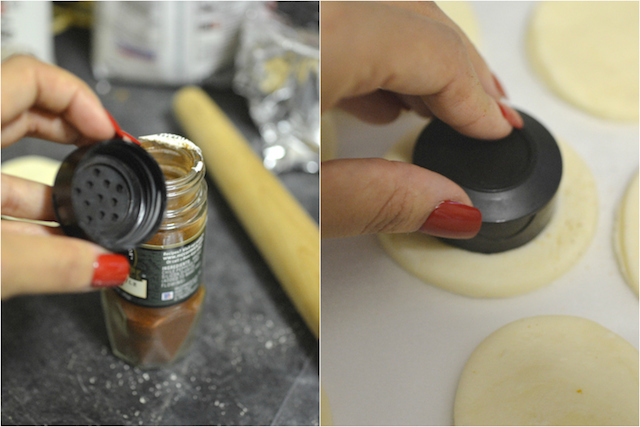 Use a small cookie cutter OR a small round cap from a spice bottle (something approximately 1" in diameter) to make a circle impression in the center of each dough round. Go in as far as you can without cutting all the way through. Use a fork to polk holes in the center circle. The idea is that this circle can easily be pressed down or removed to make a well to fill for your appetizer or dessert. Bake at 400 degrees for about 15-20 minutes, or until shells are puffed and golden. Let cool for a couple minutes, then use a muddler or the end of a spatula to press down the centers. If you prefer, you can pull the centers out completely (I did a mix of both as some will come out more easily than others). 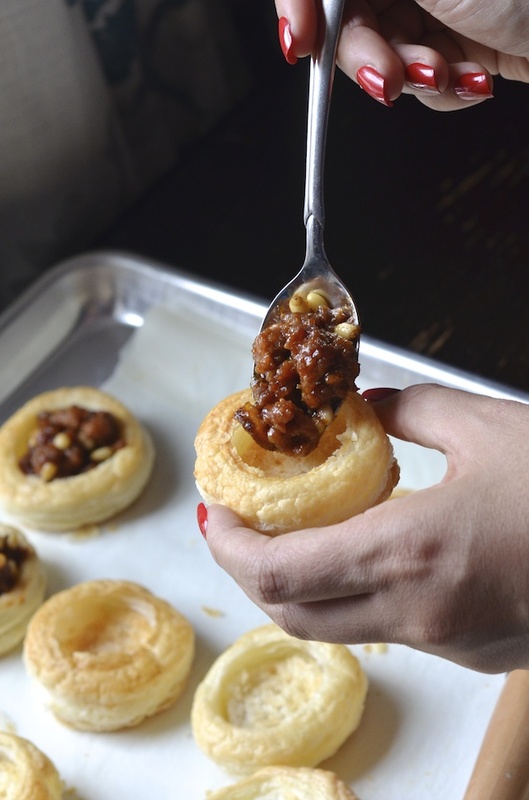 Now you can fill the shells with your preferred sweet or savory filling, and serve. Note that at this point you can only add a cooked filling (or one meant to be eaten raw).